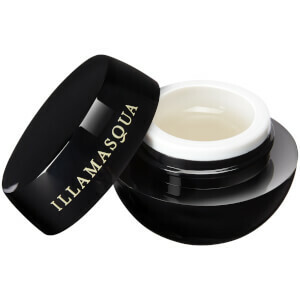 The Illamasqua Loose Powder is the perfect finishing touch to fix makeup into place. Lightweight and virtually invisible when applied, the finely milled powder veils skin with a smooth, even coverage to set foundation into place while absorbing excess oil for a shine-free finish. Wear alone for a sheer, matte base or dust across makeup for prolonged wear. Apply by using a Powder Brush or the puff supplied. Talc, Zea Mays Starch (Zea Mays (Corn) Starch), Aluminum Starch Octenylsuccinate, Mica, Magnesium Myristate, Silica, Parfum (Fragrance) and May Contain: [+/- Titanium Dioxide&Nbsp; Ci 77891, Iron Oxides Ci 77491, Ci 77492, Ci 77499, Ultramarines Ci 77007,Red 7 Ci 15850, Red 21 Lake Ci 45380, Manganese Violet Ci 77742, Yellow 5 Lake Ci 19140, Carmine Ci 75470, Yellow 6 Lake Ci 15985] May Contain Carmine as a Colour Additive. Stop use if Irritation Occurs.